Race specific runs are arguably the toughest workouts in any runner’s training schedule. For 5K athletes that means hard intervals near VO2max pace and for marathoners it means extended efforts at high-end aerobic speeds just under lactate threshold. Both are highly demanding in their own right. Learn when and how to incorporate these potent runs into your training cycle. What makes race-specific workouts so important? Once you have acquired a high level of speed and endurance your race pace should be just fine. WRONG! Speed and endurance do not equal ‘speed endurance’. Yes, speed endurances requires speed and endurance. Those are preconditions. But without the addition of race-specific training you will fall short of your potential on race day. Now before you head out conducting race specific training sessions bear with me for a bit longer. As aforementioned, race specific training is only effective if you have raised your endurance and speed to new levels in prior mesocycles (focus blocks of 3 – 6 weeks). Then, and only then it becomes feasible to transition into workouts that develop your speed endurance. What’s more, race-specific training poses significant amounts of stress on your body. Therefore it doesn’t qualify as a means of training year-round. Rather, it is the icing on the cake 3 – 6 weeks out of your peak race. 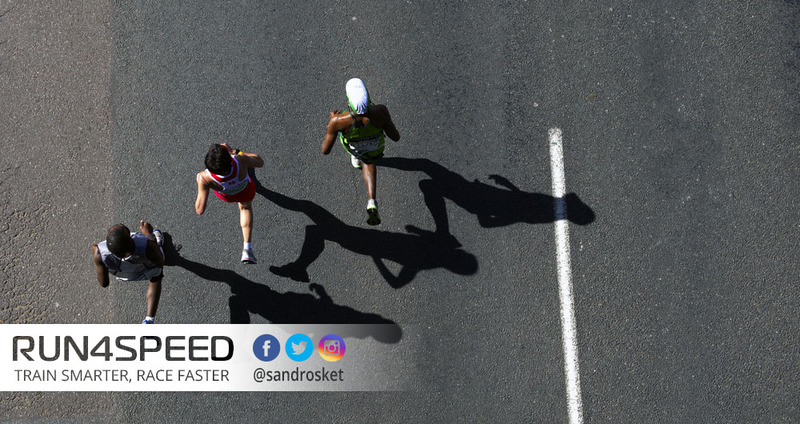 If you run an extended season with multiple races it is advisable to schedule frequent easy weeks to cushion your nervous system, and your endocrine system in particular. 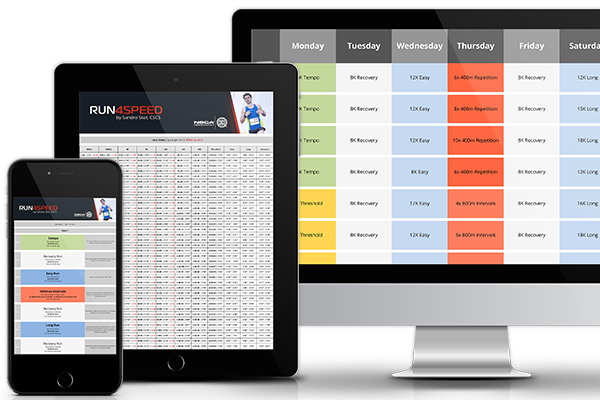 Finally, the intensity and duration of your race specific training efforts depend majorly on your race distance. 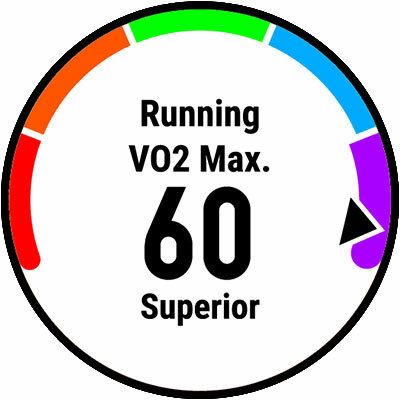 5K and 10K athletes can get away with a relatively short race-specific training cycle as VO2max training closely resembles race pace efforts. 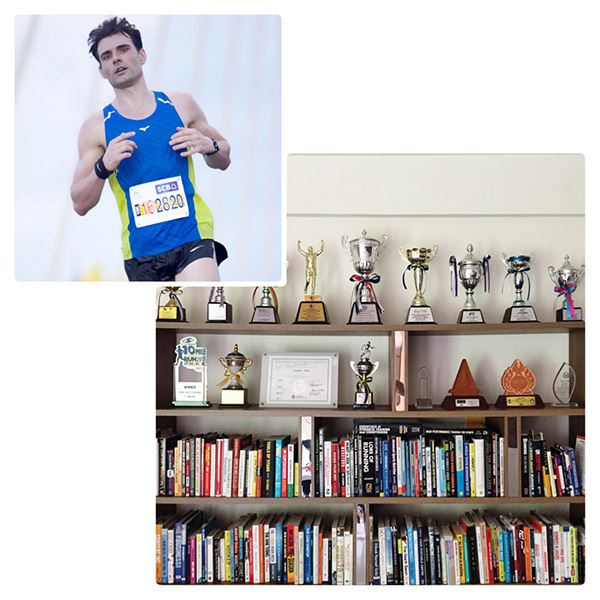 For half- and full marathoners a lenghtier cycle is necessary. These longer distances also require an extended taper period before race day. 5K pace is similar to VO2max intensity. For that reason, 5K athletes don’t need a long period of race specific training. Though, the weeks prior to the race you could make your intervals slightly longer at target pace. Alternatively, cut down the work to rest ratio between intervals from 1:1 to 2:1 or keep running at an easy pace between them. Try 4 – 5x 1200m intervals with short rests. 10K pace is only 10 seconds per km (15sec/mile) slower than 5K pace but is double the distance. Hence, endurance plays a significant role at this event. You could add 2K at 10K pace at the end of your long runs to train your body performing under fatigue. A good test for your race readiness is 4x 1600m (or 4x 2000m for advanced athletes) at 10K race pace with a 2:1 rest ratio. Half marathon pace resembles lactate threshold pace for fast runners (but slightly below LT for most runners). Therefore your focus should be directed towards Tempo Runs and Progression Runs in the weeks prior to your race. Try to run Tempos at least 1/3 of the race distance at target pace. As for Progression Runs, do the easy mileage first and then finish the last quarter at target pace. Marathon pace is well below lactate threshold and far away from VO2max intensity. Both measures are still determinants for your race performance, but of paramount importance are your metabolic efficiency and your muscular fatigue resistance. Marathon paced training runs can be up to 16km (10miles) or up to 10K (6miles) as an add-on to your long runs. Again, easy mileage comes first. Remember, the goal isn’t to become the best in training. The goal is a striking ‘speed endurance’ performance on race day. Build up the foundation for speed and endurance first and then progress to race-specific paces the weeks prior to your event. These are hard efforts which require ample recovery. Thus, don’t schedule more than 2 of these workouts in your training week.